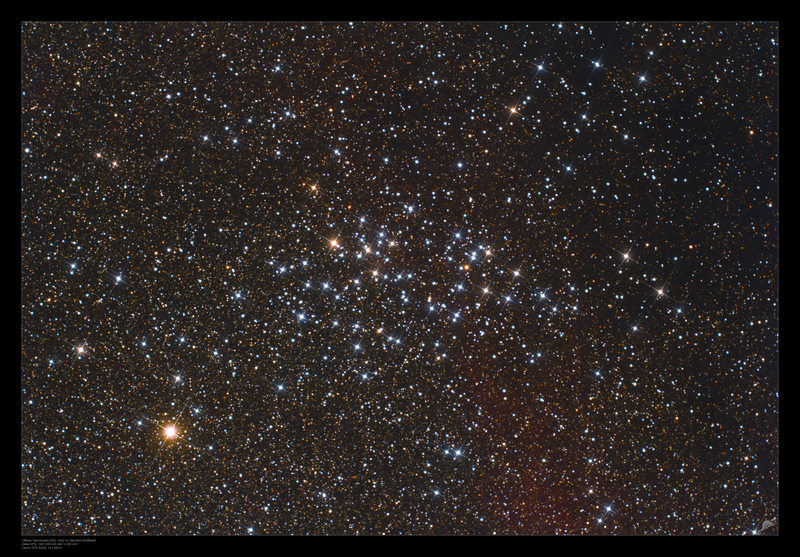 The open cluster NGC 3532, also named Wishing Well or Football cluster, in Carina can be already seen with unaided eyes under dark skies. 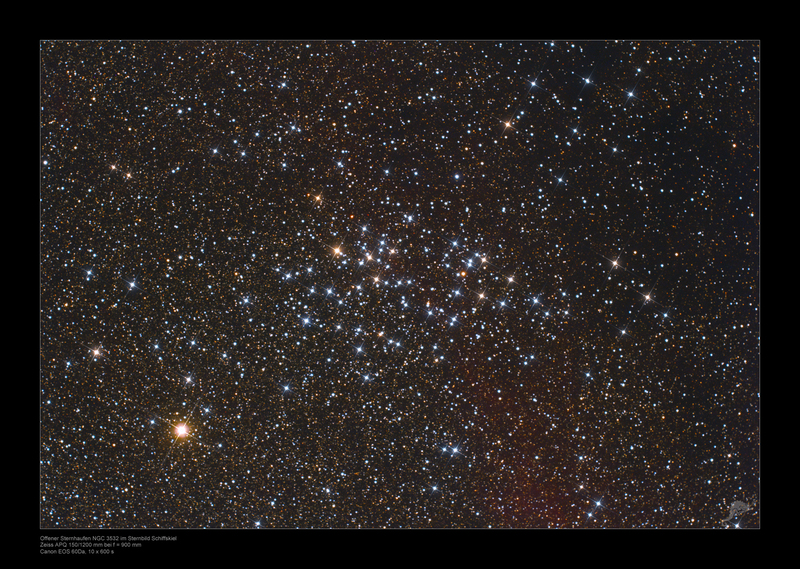 NGC 3532 covers approximately the area of the Moon in the sky and consists of about 400 stars at a distance of 1300 lightyears. The reddish area in the right is part of some weak emission nebulae which cover the whole area in this region of the milky way. 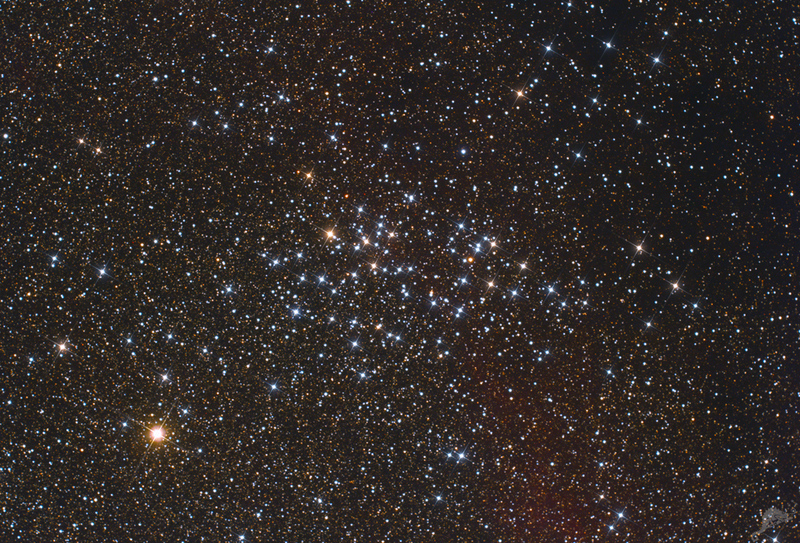 In the top right corner dims a dark nebula the light of the background stars, visible in a reduced star density compared to the other parts of the image.